Content optimization and marketing involves so much more than simply producing large quantities of web site content and posting it all in a timely manner. You need to constantly improve and update your content marketing strategy by employing a variety of effective and rational practices that pertain to your current business model and goals. This is the best way to gain and retain followers while also keeping them engaged. Every day, there are new methods of creating, producing, posting, and marketing content that emerge from the woodwork and it’s your job as the content creator to keep up with the demand. 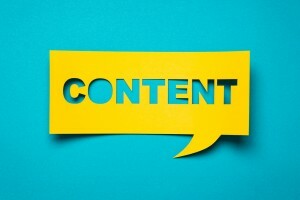 The following content marketing tips are essential to the survival and success of your web site in 2018. There are many benefits to converting your web site content into an e-book or a variety of e-books and downloadable PDF files. First, it gives you an opportunity to review and revise older content that was written a while ago that you may have forgotten about and update it to make it relevant again. Second, it expands your potential audience base and allows you to easily reach more potential customers and readers by allowing people to view your content in a wide range of formats. Third, people will be able to download your content and view it while on-the-go even when they’re offline, which adds convenience. Thanks in large part to the growing popularity of social media platforms and web sites like YouTube, video marketing and vlogging have become instrumental online marketing tools that are employed by most SEO-savvy companies. Various video marketing techniques allow you to recycle your existing content and introduce it to a much wider audience. All you have to do is take inventory of the content that’s already on your web site and turn it into an insightful and interesting video or series of videos that are specifically designed to engage a wider audience. You can then provide an internal link to your video in the corresponding article on your web site. At the same time, you can also provide a link in the description of the YouTube video to the original article that’s being referenced in your video. Compelling images and visual effects are an excellent way to help get your point across and retain the attention of your audience, no matter what the topic of conversation is. In this day and age, most people want quick and easy access to interesting information without having to read through a bunch of boring text. Always make sure to include social network share buttons at the bottom of each post—whether it’s text, an infographic, or video—to give your happy readers the option of sharing your content with their online followers. This will help to increase your web site’s click-through rates and organic web traffic as more people will be privy to the quality content you have to offer. A lot of people are far too squeamish when it comes to self-promotion with the intent of gaining more followers and securing loyal customers. The fact is that the more you share about yourself with your online audience, the more effective you’ll be at maintaining their attention and their brand loyalty. Don’t be afraid to continuously send them personalized information or promotional pieces based on their shared interests to their e-mails. However, that doesn’t necessarily give you a license to bombard their e-mails with spam or incessant and irrelevant e-mails. Solicitation of that nature is a poor business practice that will only result in you losing subscribers. Be sure to clarify the exact type of content your subscribers can expect to receive in their e-mails and how frequently you’ll be sending it. You can also give them the option of choosing between receiving daily, weekly, or monthly e-mails depending on their preferences. Reddit is an excellent online platform to locate and directly reach out to your target audience by creating and posting content that attracts them to you. The beauty of it is that you don’t even need to necessarily create brand new content for this purpose. You can edit, revise, and repurpose existing content from your web site and simply share a link to it on relevant subreddits. That way, you can attract the right types of people to your content. As mentioned, make sure to always include social media sharing links at the bottom of all of your content pages. This can’t be stressed enough. Social media marketing is basically the modern web-based form of word-of-mouth marketing and it remains to be one of the most highly effective marketing techniques. The simple truth is that people are more likely to invest in a brand after reading or hearing positive feedback or a direct recommendation from someone they know and trust. When people see that someone they follow—even if they’ve never actually met the person face-to-face—is endorsing a certain company or brand, they’re more likely to jump on the same bandwagon or, at the very least, check out your web site. Whether you’re a well-established business or are just getting your footing in your industry of choice, you should always research your competition. Find out what they’re doing, what works and what doesn’t, and what the industry standards are when it comes to marketing as well as obtaining and retaining clientele. The only way you can break the rules—or at the very least, bend them in your favour—is by familiarizing yourself with what they are first. This will give you the edge you need to succeed and set yourself apart from your competition. It’s also a good way to look into opportunities to collaborate with and gain valuable insight from people who are doing something similar to what you hope to eventually achieve. Use niche web sites, forums, and different social communities as your source material to help you build up and improve upon your web site content to make it something that works for your business. Numero Uno Web Solutions is a leading SEO company that’s based out of Toronto, Ontario. We possess the experience and expertise to help you achieve all of your search engine optimization goals by implementing tried and true industry-recognized techniques that have worked for all of our clients throughout Canada and the United States. To learn more about how we can help drive traffic that converts into meaningful leads to your web site, feel free to contact us.